The PFSP had a blast on October 21st at Papa Murphy’s Portage where we held our Pop to win fundraiser. We had over one hundred balloons, which people then popped a balloon and received a prize, from cookie dough, mini murph’s, stickers, PFSP wristbands and of course Papa Murphy’s coupons and more. Our biggest prize’s were the donation of three skatedecks. Which two people popped and got. They were, Store manager Adrian Abeita from Baraboo, Jacob Baillies and son Luke from Portage, who was very excited because it was his son’s first skateboard. We would like to give a great big thank you to Andrew Tamminga who worked the event from 8am to 8pm. Thank you to Papa Murphy’s Portage for letting us hold the Pop to win event at there business for the forth year in a row . It was a blast. The PFSP will be holding another Pop to win fundraiser in 2018 at Papa Murphy’s where some new prizes will be in balloons. 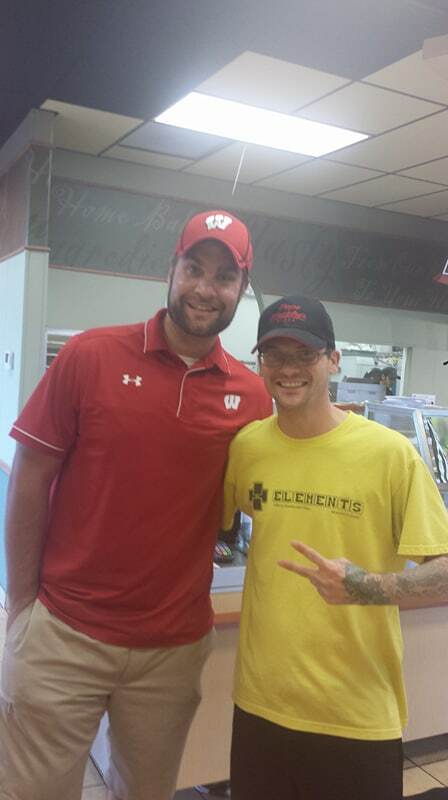 We also had a special guest former Wisconsin Badger Justin Ostrowski who is pictured with President Kyle Little of the PFSP and assistant manger of Papa Murphy’s Portage.